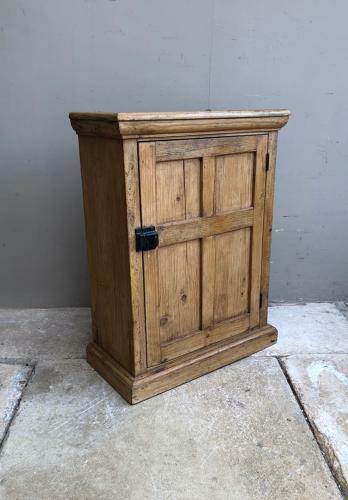 Early 20th Century Handy Pine Wall Cupboard. Pretty Panelled Door, Great Original Turn Lock Knob & the door opens to a fully shelved interior. Solid 2 plank boarded board. Great condition, no worm. Hooks (later added) at the top to wall hang.